So, in Mario Party Advance, there’s a group of Toadies who live in Mushroom Condo in the Town Area of Shroom City. These Toadies call themselves the Kamek Krew. And, get this… they speak jive! Clearly, the localizers want to give the impression that the Kamek Krew is a rap group. So it’s natural that I wondered how the original Japanese version characterized them and what their dialogue was like. I’ve included everything they say in both versions of the game, and a guide of when they say them. Of course, there’s a more bizarre moment in the game that I feel is higher in priority than the Kamek Krew. It’s in one of the later Bowser quests, and it’s gonna take a while to get screenshots. Until then, treat this request however you like! I’ve never played the game, but thanks to all the provided pics and details, I can say that this is a really good example of a great localization! First, since music translation and localization is a whole difficult specialty of its own, I’ll provide the original Japanese text, the romanized Japanese text, a straight translation of the Japanese text, and then the official localization’s text. Hopefully it won’t be info overload! ore wa “kokamekku” da! iei! …Oh, yeah! Yeah! I’m a “Kokamekku”! Yeah! Toadies in effect, y’all! Big ups! ５にんそろって『ゴカメック』！イエイ！ oretachi, ninki no rappu guruupu! gonin sorotte “gokamekku”! iei! We’re a popular rap group! All together, we five are “Gokamekku”! Yeah! We the Kamek Krew. オレたちからの、おねがい！ …chotto, omae ni tanomitai! oretachi kara no onegai! …Hey, we got a favor to ask you! A request from us! We got the mad flavor, but we need a favor! omae to no kankei, dai nashi-! …We’re very sad! あかるいたいよう、らんはんしゃ。 …omae no kimochi ni, kansha. akarui taiyou, ranhansha. …We appreciate your sentiment. A bright sun, diffused reflection. Biggety-big ups, yo! demo, basho ga nain da. We want to hold a concert. But we have no place for one. We need a gig, bad, but ain’t got no pad. だから、『ライブかいじょう』を　みつけてきて　ほしいんだ！イエイ！ da kara, “raibu kaijou” o mitsukete kite hoshiin da! iei! So we want you to find us a “concert venue”! Yeah! So find us a stage where we can RAAAGE! せきたんではしる、きかんしゃ。 …omae no kimochi ni, mata kansha. sekitan de hashiru, kikansha. …We appreciate your sentiment again. A locomotive that runs on coal. OK, so here’s the story of our path to glory. そんなきがしてたけど、やっぱーし？ o-! omae mo rappaa? sonna ki ga shiteta kedo, yappa-shi? Oh! You’re a rapper too? I thought you might be, I guess you really are? Oh, SNAP! You rap, too? You’re 2 hot 2 B true! needs to be someplace big. We’re lookin’ fer a venue to host our gig. どこかの『スタジアム』が　いいなー！ …sou da na-! doko ka no “sutajiamu” ga iina-! …Yeah! Some “stadium” somewhere would be nice! A stadium will do, if you know where to go! 『デザートエリア』に、そんなばしょ　あったでしょ。 “dezaato eria” ni, sonna basho atta desho. There was a place like that in the “desert area”, right? You can find one in the desert… yo. oretachi, matteru! iei! Well, we’re counting on you! Yeah! We’ll be waiting! Yeah! So kick it up a notch and save our show! gonin awasete, “gokamekku”!! …I’m a “Kokamekku”! All five of us are “Gokamekku”!! Toadies in the condo, a musical combo! ”raibu kaijou”, honto sagashita? What’s up with you? Have you actually looked for a “concert venue”? So what’s the word? Are we gonna get heard? それが、オレたちのきぼうだよ。 sutajiamu wa, “dezaato eria” ni aru yo. sore ga, oretachi no kibou da yo. There’s a stadium in the “desert area”. That’s our hope. Go hit the desert for a stadium stage! All five of us are “Gokamekku”!! Toadies in the condo, stoic like a hippo! オレたちにとって、ありがたい！ “raibu kaijou” wa mitsuketa mitai! oretachi ni totte, arigatai! Looks like you found a “concert venue”! We’re thankful! Yo, man, you got us a stage for us to rage? kore de, raibu dekiru! yatto! You saved the day! For real! Now we can hold a concert! Finally! You got mad brains for our musical campaigns! パーティグッズ、もれってくだされい。 …oretachi kara no, orei. paati guzzu, morette kudasarei. …You have our thanks. Please take these party goods. But do you have skills to back those brains? あたまいい、オマエはクレバー。 to iu wake de, mondai wa kuria. atama ii, omae wa kureba-. So the question has been cleared. You’re smart. You’re clever. You get props for all your hard work! mitomeru no ga, oretachi no ruuru! You’re really cool! Acknowledging that is our rule! You’re so cool! You ain’t nobody’s fool! Okay, so the first thing to note is that the Japanese text indeed uses Japanese-style rap. Translating songs almost always means heavy localization – as you can see, the literal translation of the Japanese text is kind of bizarre and wouldn’t really work as-is. That’s just an example of why songs don’t always work well in translation, especially if you’re trying to keep the translation in lyrical form. Song translation is when you gotta bust out your creative cap! Actually, it’s really hard to explain Japanese rap in just a few words, but it definitely has a different feel and vibe to it than English-language rap. I think it’s because rhyming – which is a core component of rap – doesn’t work well in Japanese. It’s so easy to rhyme in Japanese that there’s almost no point to it. That’s why Japanese music in general sounds kind of odd to a lot of foreigners – the lyrics rarely ever rhyme and don’t seem to have much of a pattern to them. Japanese rap does try to incorporate rhyming, but often it just involves adding random words to make things fit. In doing so, it gives Japanese rap a unique feel all its own. I’m sure English rap does this often, but it always felt like a defining quality of Japanese rap to me for some reason. I bring this up because this is something that the localizers clearly took into consideration here – they took the important info out of the Japanese text and repackaged it to sound more like English-language-style rap, complete with added rap-like lingo. And I gotta say, they did an amazing job – I would almost think this was originally an English language game rather than a Japanese game! Actually, there IS a pun in the original Japanese with the number five (which is pronounced “go” in Japanese) and their group being called the “Gokamekku” that sort of got brushed aside, but I don’t think it was particularly important that it be retained in this context. 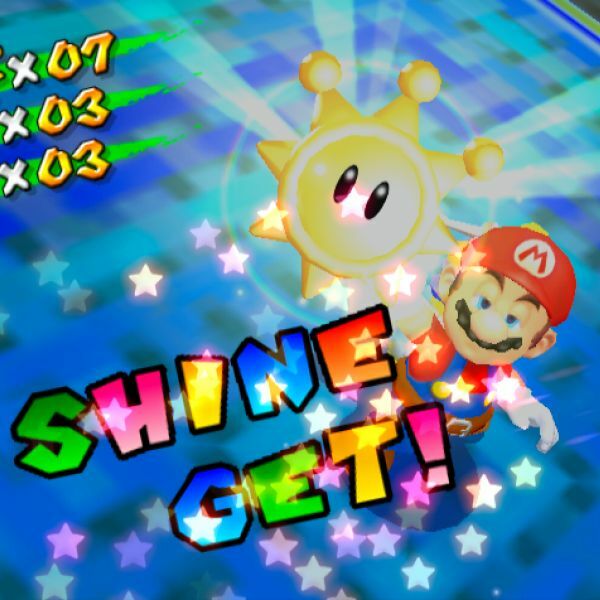 If you found this article interesting or helpful and are friends with other Mario Party / Super Mario Bros. fans, let them know about this article. It'd be a great help! Dialog-based comedy rarely translates well between languages. How did these comedy routines get localized? Interesting article. I always wondered how tough song translation like that must be. I really like when companies like Funimation do that with various anime theme songs and have English vocalists sing them. Sadly, though, it seems they don’t do it much anymore. I was rather disappointed when Season 4 of One Piece no longer had English songs in it. Come to think of it, Mato, since you work for Funi, have you ever been involved in any of those song translations in some way or another? Pretty much every show I work on involves translating at least two new songs, so I’m always translating songs and stuff like that. For songs I usually just do a straight translation that’ll be used in the subs and include notes, info, and suggestions should a dubbed version get made. I don’t have any actual further involvement in how the dubbed versions turn out, though. Wow, great job on this! As a musician I found it rather insightful. I’ve always wondered about musical rhyme in Japanese music. In the literal translation, 「コカメック」 is translated as “Kokamekku”. That is consistent with the Super Mario Wiki page , but the 「カメック」 part of the name is the Japanese name for both Kamek and the Magikoopas, and “Kamek” leaves off the extra “ku” at the end. I know it sounds nitpicky and does not really matter for the article’s purpose, but I would have expected “Kokamek” and “Gokamek” in the literal translation instead of “Kokamekku” and “Gokamekku”. For those who do not already have it figured out and/or did not read the Mario Wiki page, the 「コ」 part means “child-sized”, so 「コカメック」 roughly means “Kamekling” (or “Magikoopaling”). On an unrelated note, I wonder what Toadsworth’s Japanese and French names in Mario & Luigi: Partners in Time are? In the present, his Japanese name is 「キノじい」 (“Old Man Toad” if you assume that the 「キノ」 part means “Toad”), and his French name is «Papy Champi» (“Grandpa Toad”), but in the past, he is a much younger Toad and I find it unlikely that people would be using the 「じい」 suffix or «Papy» title to address him. His English, Spanish, German, and Italian names have no connection to old age, so no problems with them. Looking quickly on Google I don’t see any indication that they changed キノじい’s name for when he’s young. I just see everyone adding “young” before his name and calling him 若いキノじい. There’s also the fact the individual one calls himself a “Kokamek.” “Kamek” is the generic term for Magikoopas in Japan, so I would imagine that these smaller-than-normal Magikoopa guys using the name “Kokamek” has the same diminutive effect as it does in “Kokuppa” (the Japanese term for the Koopalings), AND it lets them just switch that one phoneme from unvoiced to voiced to get the word for “five”. Yep! And man, I really gotta brush up on Mario stuff someday (I haven’t played much since NSMB for DS and I didn’t enjoy it much…) but I’m not sure why I’m familiar with the “Kamek” name, I guess that was used in one English release? I’m guessing Yoshi’s Island? Yep, the Magikoopa in Yoshi’s Island is Kamek, although that’s treated as his name, not a new word for Magikoopas. This is true. However, the name had been used prior to that, in the Japanese version of Super Mario World, as the generic name for Magikoopa enemies. Thus, from the Japanese side, his appearance in Yoshi’s Island didn’t give him a unique name at all, and it only did stateside because he kept an unlocalized name. Whether that was intentional or not, I’m not sure. Despite that, he has become a unique character even in Japan, as he’s turned up in several games since then. Word on the Internet streets is that Japanese fans have unofficially dubbed him “Fang” to differentiate him, but I can’t confirm that. Thank you for translating the Kamek Krew dialogue, Mato. I find it interesting that the Japanese dialogue has them say they’re rewarding you (in this case, the Bull’s-eye Gaddget — Gaddgets are like the small apps in the App Store, and in this case the Bull’s-eye is a dart-throwing simulator), while the English dialogue asks if you have qualities other than intelligence, making the Gaddget reward seem spontaneous. By the way, to those of you reading this blog, in addition to the Bowser scenario I’ve alluded to in my submission up there, I’ve also had Mato look into the “Comedy Bomb” quest, in which a dolphin (of the Super Mario World variety) is trying to land a comedy gig, but no one is laughing at his jokes, and he needs a boost in confidence. Be sure to keep a look out for that one! “Gonin sorotte Gokamekku” is a clear reference to Himitsu Sentai Goranger, whose well-known catchphrase was “Gonin sorotte Goranger”. (Number)人そろって(Group Name) is a pretty standard way of introducing a group. But maybe you’re right, it’s possible.